As the largest economy of Central America and the Caribbean, and its most visited tourist destination, the Dominican Republic offers international corporations and private investors business opportunities as inviting as the clear blue-green waters surrounding it. Guzmán Ariza is positioned to help you mine those opportunities in four tactical ways. 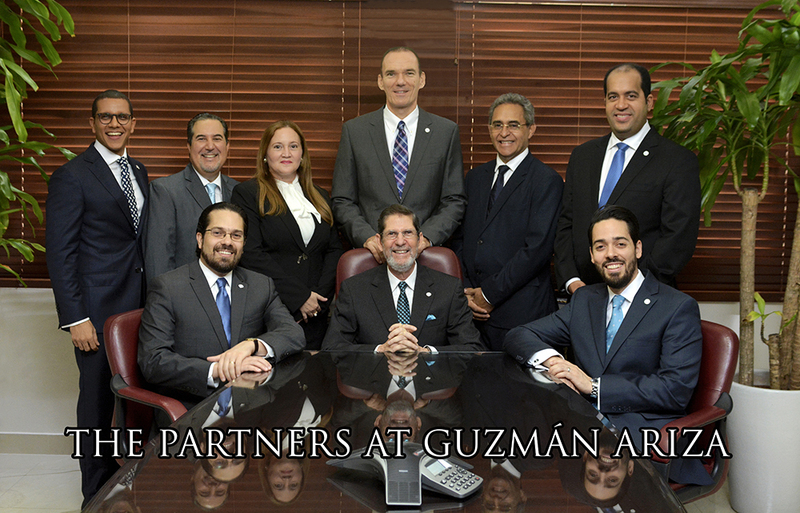 Guzmán Ariza is a national law and business consulting firm – the first and only one in the Dominican Republic. Founded in 1927, our seven offices are strategically located to serve you in every major business and tourism center in the Dominican Republic: the Santo Domingo metropolitan area, including Juan Dolio and Boca Chica; the northern part of the island –Sosúa-Puerto Plata, Cabarete, Cabrera, Las Terrenas, Samaná–; and the southeast –Punta Cana, Bávaro, Miches, Macao and La Romana, including Casa de Campo and Bayahíbe. Our experienced attorneys live with the local issues that matter to you, and work regularly with the local government offices and courts in each particular city or region. We are right where you need us – not 100 miles away! Our firm is client-focused and full-service. Intent on servicing the needs of international clients, our multilingual attorneys and business consultants are equipped to help you, in both business and personal matters, across a wide variety of practice areas, including but not limited to corporate and business law, mergers and acquisitions, project finance, banking, insurance and securities, taxation, intellectual property, litigation, real estate and condominium law, immigration, and family law. Also, our lawyers have regularly served as experts on the laws of the Dominican Republic in foreign jurisdictions. We achieve cost-effective results by aligning our strategies with your needs. We are the first and only large Dominican law firm to offer services on a fixed-fee and incentive-fee basis instead of the familiar hourly rate, although we will bill you by the hour if requested. Our guiding principle is to obtain the best results in the least amount of time at a cost known to you before the work begins. We work toward a speedy, satisfactory resolution to problems. All fee arrangements are transparent and allow you to budget easily for your legal costs. No hours to bill –no hours to kill! Our commitment to knowledge of the law and business principles, responsiveness to clients, and cost-effective practices have earned us the reputation within the international business community as a trusted and respected law firm that delivers results.